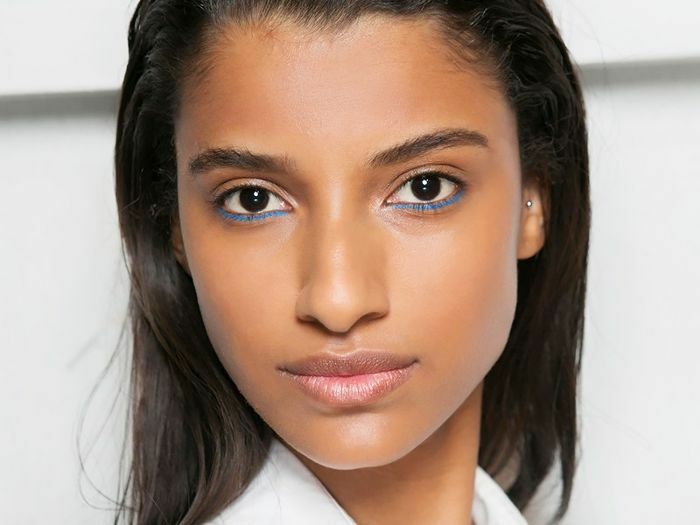 Call it a beauty editor’s intuition, but we have a nagging feeling that Ayurveda will be the Korean beauty trend of 2016—in other words, be prepared to start seeing it everywhere. The 5000-year-old practice has seen a reemergence in the past few years, thanks in part to a slew of celebrity disciples (hi, Gwyneth), as well as a general shift in the industry toward more natural-minded beauty solutions. For the unschooled, Ayurveda is a practice that has been used for centuries in India to treat a variety of conditions, grounded in the belief that all treatments should be viewed as a holistic science—meaning it should treat the person as a whole, rather than separate parts. This takes on a unique view when applied to skincare—and it just might be the secret solution your problem skin has been looking for. We asked Kiera Nachman, Ayurvedic expert and founder of Sundara Holistic, to tell us exactly how this ancient practice can clear breakouts, firm wrinkles, and more. We’ll put it this way: We may or may not be adding organic ghee to our grocery list. Keep scrolling to find out how Ayurveda can help your skin! First things first—in order to understand how Ayurveda can benefit your skin, you need to understand the philosophy and belief in doshas. Nachman calls it a science of “balance, prevention and healing” that involves everything from diet, meditation, aromatherapy, yoga, herbs, and more. The foundation of Ayurveda is the belief in the three mind-body types, or energies, known as doshas. “We all have a unique blend of these doshas in the body, which determines much about our skin and body tendencies,” Nachman tells us. Ayurvedic teaching states that whenever there is an imbalance of one or more of these doshas in your body, it can manifest in a variety of ways—from health issues to skin problems. So, that annoying breakout in the middle of your forehead isn’t just a surface issue—it can be a reflection of an imbalance in your body. This belief is what spurred Nachman to create her line of holistic face oils, each of which are meant for a specific dosha. “I wanted to create a skincare line using the principles of Ayurveda to balance the tendencies of your skin type—and to treat skin problems from the root causes of imbalance in the body,” she says. “All the products were created through that lens of using the wisdom of plant medicine to heal.” For example, her vata products are nourishing and great for those with vata doshas who tend to have dry skin, while her kapha products are detoxifying and balance, which make them good for kapha doshas, who usually have oily skin. Once you know your dosha (you can also be a mix of two), then you can start treating it with Ayurvedic principles. For example, someone with oily kapha skin might struggle with cystic acne; Nachman says to try detoxifying and stimulating skincare, as well as incorporating green clay into their skincare routine. In addition, they should be eating light, stimulating foods with plenty of spices. Someone with sensitive pitta skin, which can also be prone to acne, can suffer rashes and breakouts—a sign that there is too much heat in the body. “I would recommend that they eat cooling foods, such as avocado and banana, and perform a daily Abhyanga (self-oil massage) with coconut oil,” Nachman says. If your skin is dull or dry, this can be a sign it is lacking nutrition—and your vata dosha is most likely too high. The key here is to add nurturing foods and skincare products to your routine—try warm, grounding root vegetables and plenty of healthy fats like nuts, seeds, and even dairy. 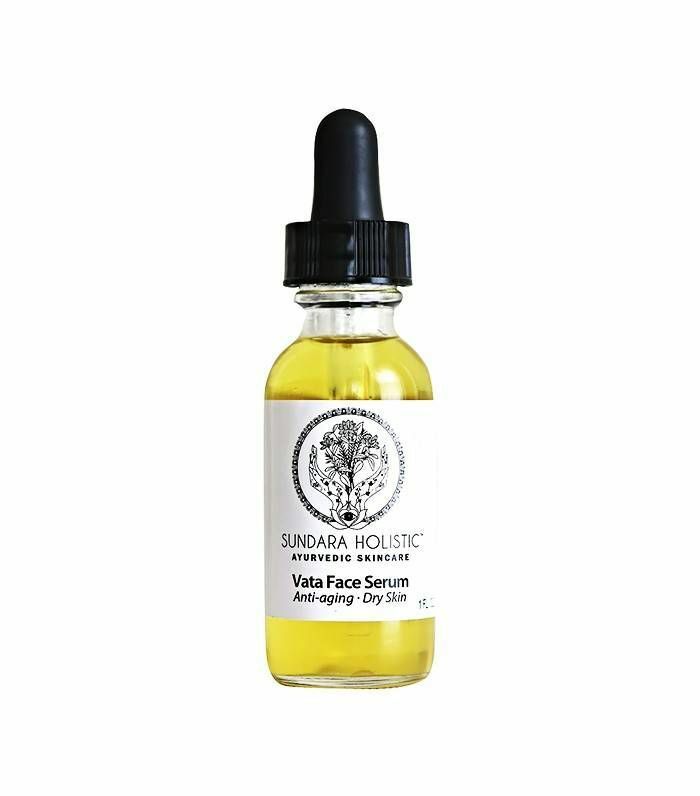 Nachman’s Vata Face Serum ($45) contains hydrating oils, like avocado and castor, and are the most nourishing out of the entire collection. So much of Ayurveda is rooted in the medicinal and healing properties of certain herbs, which are applied topically via massage or used as skincare. “There are special Ayurvedic herbs and oils that have been used in the East for millennia,” Nachman says. “Applying foods to your face may feel strange, but I promise you, you’ll get used to it—especially once you start seeing how transformative food-grade ingredients are for the skin.” Her own line of products contain only ingredients that are food-grade; they wouldn’t be considered classical ayurvedic skincare if they weren’t. According to Ayurvedic wisdom, you shouldn’t apply anything to your skin that isn’t considered edible. Some common Ayurvedic ingredients you can start adding to your routine include brahmi, the number one Indian herb for brain health, nervous system health, and well as hair growth. “It’s revitalizing for the nerves, the brain cells, and memory,” Nachman says. “In nature, the brahmi leaf even resembles the brain—sometimes, nature gives us these clues.” Ghee is another Ayurvedic powerhouse, and the basis for Sundara Holistic’s Turmeric-Ghee Eye Cream ($30) and Ayurvedic Lip Balm ($15). “Ghee is known as a healthy cooking fat, rich in antioxidants,” she says. “It is the perfect nature-derived moisturizer for skin and lips.” Saffron and turmeric are other herbs that are detoxifying and anti-inflammatory, and, when combined with ghee, can potentially do everything from balance dark circles to smooth fine lines. And lastly, essential oils are used in various Ayurvedic treatments to soothe the senses and even balance hormones; clary sage and geranium are Nachman’s favorites for doing so.